Exit at Junction 4 for Henley in Arden. After passing through the centre of the town, Henley Ice Cream Parlour is located on the right hand side, next to the Heritage Centre. Exit at Junction 15 in and follow the signs the direction of Stratford on Avon. Turn right after 250 metres and follow signs towards Claverdon / Henley in Arden. At the traffic lights in Henley in Arden turn right. 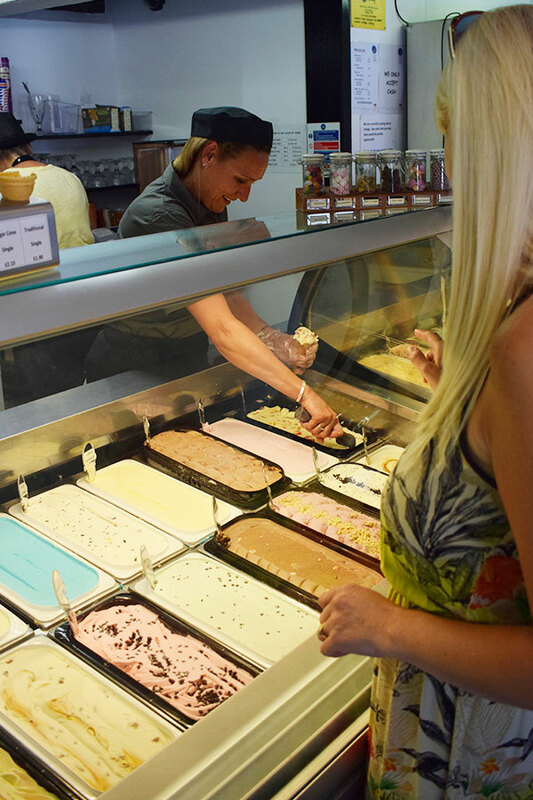 Henley Ice Cream is located on the left hand side after approximately 500 metres, next to the Heritage Centre. Free parking is available in The Croft, just 200 Metres from the Parlour near to the pedestrian crossing. Addititional free parking is available near the medical centre on Prince Harry Road, with a shortcut through to the high street.